You are currently browsing the tag archive for the ‘Christmas’ tag. 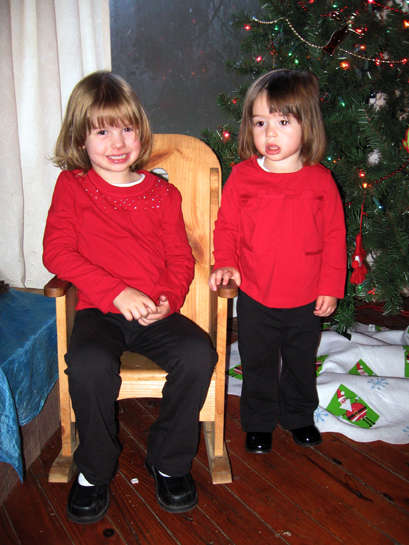 Christmas Without a Tree, the Nutcracker, and Who is the Real Santa Claus? At Confluence Academy this week, we are taking a break from the routine studies to delve into some holiday fun. The way we celebrate the Christmas season in the US has always been counter intuitive to me. I miss the days of the winter spiral that we had in Louisville when we attended Parent/Child classes at the Waldorf School. St. Nicholas and St. Lucia came by for a visit to our little homey classroom. It was so cozy and introspective. 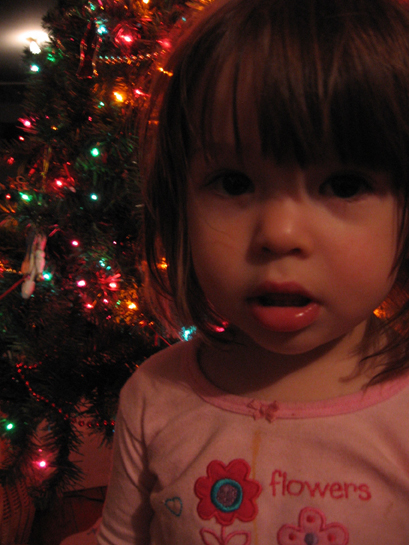 The rush and fuss of the holiday season often leaves me in tears. Too much stress involved. I don’t like feeling pulled and tugged. Expectations are high. We want to see all of our family, but it is hard to go to at least 3 different places in the course of 2 days. That doesn’t include our own home. There are always too many presents and I end up feeling more frustrated and guilty than blessed because we just can’t reciprocate and our space here is limited for bringing in more things for the girls. It is my problem and not appropriate at all. We are abundantly blessed. It is the consumerism and the pressure that makes me feel like my head is a spinning top and my guts made of mush. I don’t connect with this type of celebration at all. I honestly do not think Jesus, Mother Nature, or St. Nicholas are bothered in the least by my rejection of it, because when they espoused this season they had a totally different thing in mind. I lackadaisically drift in and out of our families’ homes trying to keep an even keel. The darkness and soft lights… the cold air… the gray blue sky… it makes me want to retreat. I want to read books, drink warm drinks, eat hearty food, and make traditions with my daughters. I want to breathe into the Truth of who we are – beings in the image of God, never lacking. So, this week we are going to explore in our schooling things that are typically lost to us as we scramble to buy gifts, get to every expected location, and zip through it all barely conscious of why we are doing this in the first place. We are going to look at the great stories, art, and timelessness of the season. Tuesday, we explored The Nutcracker with this FREE unit. We listened to an adaptation of the story on Story Nory, watched the ballet on YouTube, drew a nutcracker (see Deladis’s below), and read about Tchaikovsky. We talked about composers and choreographers. It was a good time. Deladis has been humming the music since. We discovered the story of the real Santa Claus – St. Nicholas – on a lovely website – St. Nicholas Center. We read several of the stories. Our favorite was – And Now We Call Him Santa Claus by Kay Tutt. We did an drawing of St. Nick as well (again… Deladis’s is below). 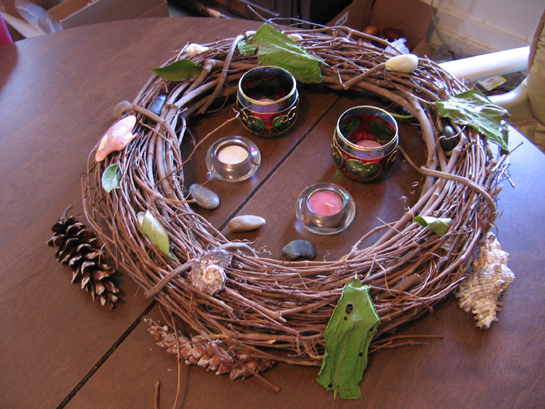 Then, we went on a nature walk to gather decorations for the house – moss, evergreen twigs, rocks, seed puffs, and wood. Tonight, we’ll eat popcorn and sip hot chocolate. We haven’t gotten around to putting up a tree this year with all the running around like chickens with no heads. Sunday night, we decided not to put up one at all. There isn’t the space right now, and I think we are going to go in a totally different direction with our decorating. We are getting real, simple, light. I think the fake tree will be going away beginning this season. I think it is just right. Our nativity set off with natural decor… moss, rocks, and wood chips. We loved our time together. I can’t believe it was 60 degrees out on Wednesday and today – Winter Solstice – it is snowing. Checking out Eastern Hemlock twigs. Thursday, we learned how to care for hermit crabs, since the girls will be getting one from us for Christmas. They danced a Christmas performance at the area nursing home in the evening. Today, we are learning about Winter Solstice. Then… a much needed break from school. Later, we’ll put up our stockings. I’m going to read and do some more writing. We are going inward. Winter Solstice is drawing us inward with its snow and sleepy skies. “Holed in” – This is a term used in these parts for a time when you have to stay put somewhere, usually at home, for a longer period of time than normal. I’m assuming the term came from either underground coal mining or fox holes in the World Wars. I can’t think of an older beginning, but “holed in” was exactly what we were this weekend. From Friday evening to Sunday evening we were without power due to the big snow storm that hit our region. For us, that also means without water as we have a well that runs on an electric pump. Our one gas heater kept us warm enough, but the water situation got old. Washing dishes with snow isn’t fun after a few meals of doing it. So, when I realized it had been Wednesday since I had showered last and I learned my dad had all the amenities, we trekked out across the snow. The four of us walked out of the holler as the truck wasn’t budging. I borrowed our friend’s/neighbor’s wading boots and walked Ivy and myself across the water. John and Deladis set out with our suitcase up the hill using the oddly placed bridge. We made it to my dad’s (in the van which we park across the creek), got cleaned up, and John took me out to eat and finish some Christmas shopping for the niece and nephews while my dad and his wife watched the girls. It was a much needed rest. On the ride to the eating place, John and I both felt how tired we were. You know how it is… you don’t feel how tired you are until you try to get out and go somewhere. But, being out after five consecutive days of not leaving the holler, and going out with John made it super nice. That is one thing John and I need more of – couple time. I’m slowly working out what our needs are, and John and I have been talking quite a bit about how things should be for our lives to be balanced and whole. I’m confident and hopeful. The last time we were out was Wednesday night for Deladis’ first dance recital. 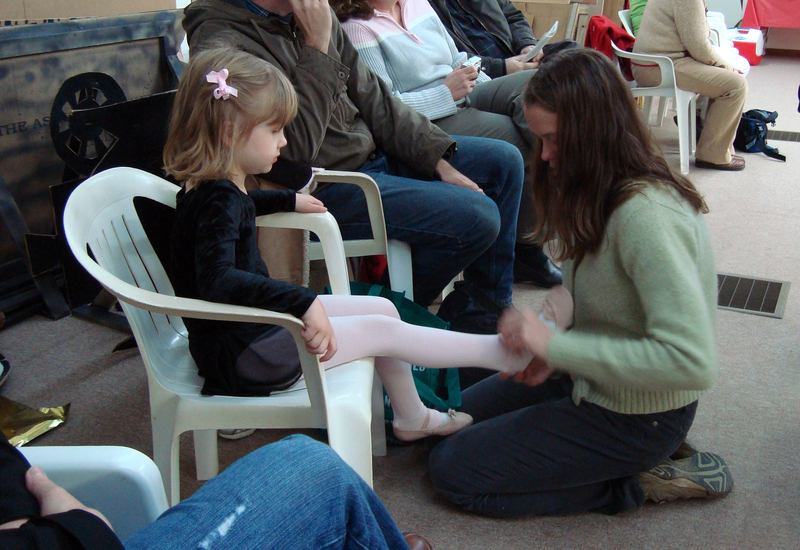 John’s mother has been helping us afford lessons for Deladis in tap, ballet, and jazz. At first I thought it would be a good way for her to socialize with other little girls, but she turned out to be the only student in her age group this semester. She has taken to dancing like it is a natural progression for her. She has no problem being the only student, and looks forward to dance class days. 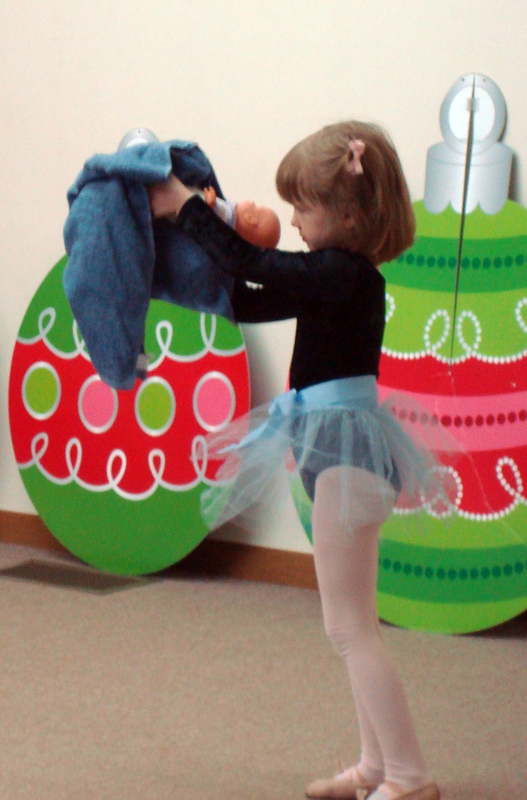 I have watched her develop her physical body in ways that she was a little behind other children her age since starting dance. I’ve watched her grow stronger and enjoy physicality, which isn’t her preference of being. Dance has helped balance her. All of her grandparents, her great grandmother, her aunt and cousin, and John and I came to watch her dance. We along with all the other parents and guests filled the room. She practices behind a curtain with just her teacher watching, so I was a little nervous for her dancing in front of so many people. I didn’t mention that to her though, and talked only about how fun it was going to be, and how much I was looking forward to finally seeing her dance. She was ready to dance from the moment we walked into the room. The oldest student is also in class by herself. She is in high school and she danced first. When it was Deladis’ time, she took the floor without hesitation. My eyes teared over when hers met mine. I could tell she was so pleased to share her talent with me. We connected in that moment in that special way that hadn’t happened for a long time. It felt perfect. 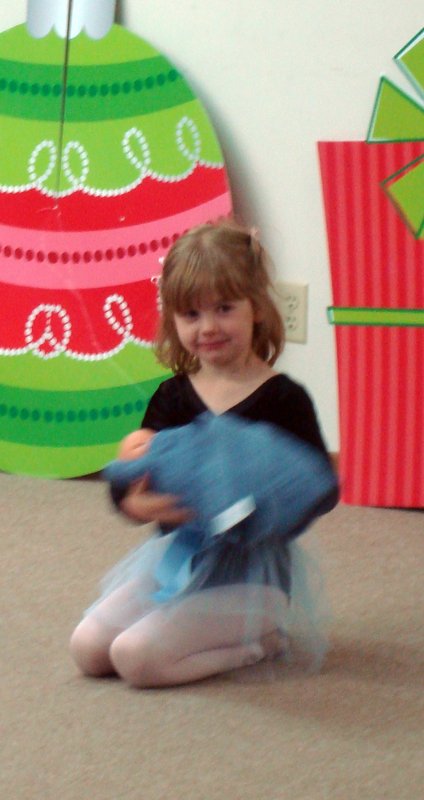 Her music was “Away in the Manger”, and she was equipped with all the props. 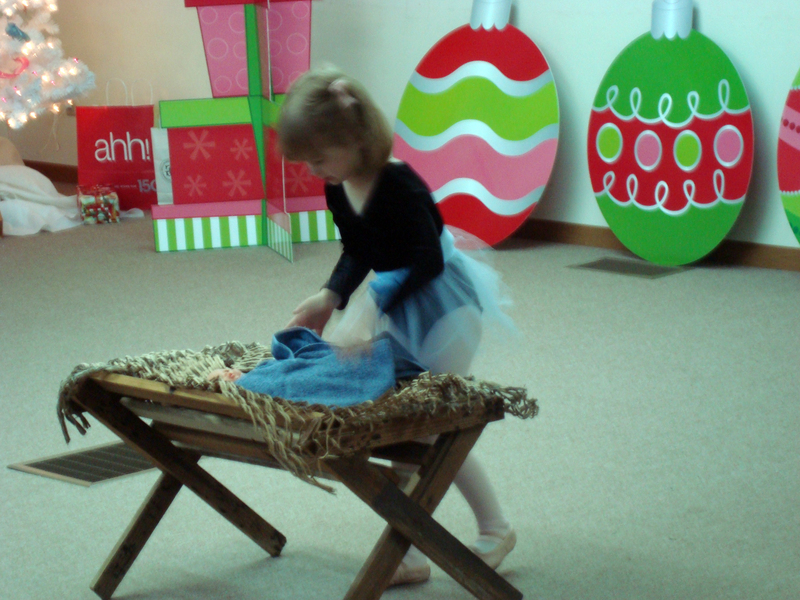 At the end of the song, she gently placed her doll in the manger and pranced off the floor. I couldn’t have been more proud. I think her teacher was too. 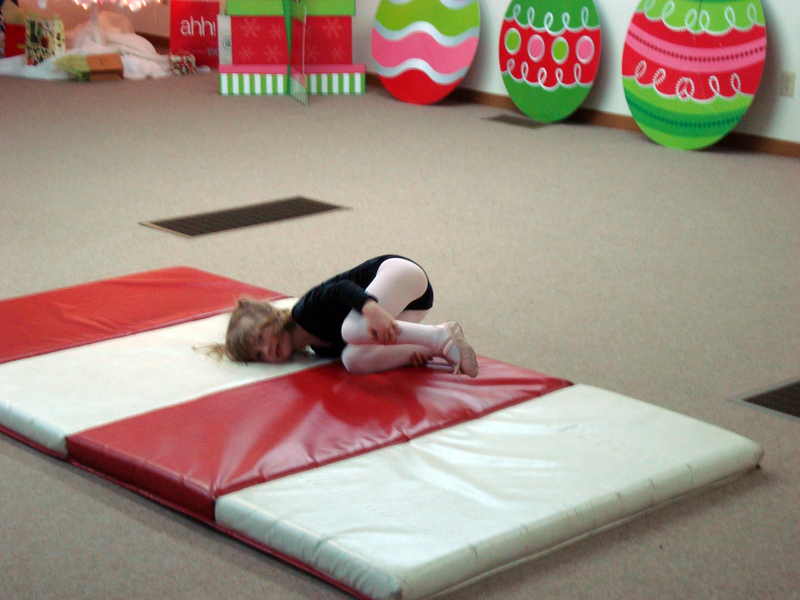 After the next class performed, Deladis had another song – “We Need a Little Christmas” – where she showed us some of her tricks on the mat. I will be trying my very best to keep her love of learning intact and her self confidence. I see so many of my introverted ways in her, but she had the confidence to shine, and no one should ever put that light out. We are taking a break from our homeschooling for the rest of the month. We are all tired from the trying time we’ve had over the last little while. I think a break will be what we need. It is always good to reassess and take the time to just be what we are. If I don’t get back here before the new year…. Happy Holidays to Everyone. I wish you many happy days. 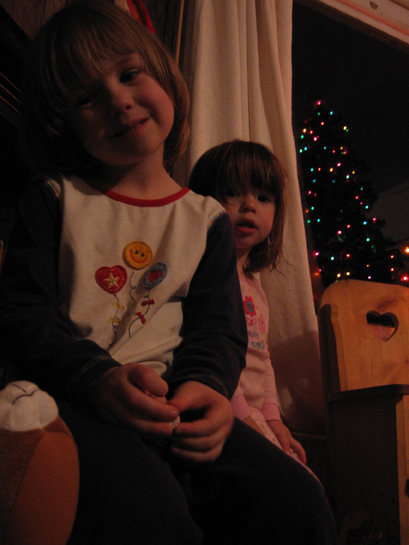 Instead, I want to share with you some of our Christmas activities that we’ve been doing as part of our homeschooling. I want this holiday to be a special one for my girls. I have to be honest and say that coming from a family that experienced divorce, it was a difficult time for me as a child. I wanted to be two places at once, and it was too much for a kid to feel. As I mentioned before, John and I both still have a hard time being everywhere and doing everything we would like to be and do this season. So, I want our own little family tradition to be sweet and simple. Close knit. Real. Acknowledging all aspects of the season. This year we are observing Advent for the very first time. It is not commonly celebrated here, so I didn’t know all that much about how to do it up right. When I went looking for books about Advent, I was asked if it was a foreign holiday. I have managed to find enough information to adapt the holiday to our family and what we have on hand with the help of Festivals, Family, and Food by Diana Carey and Judy Large, and a great blog I am finding more and more helpful each time I visit it – The Parenting Passageway. I made an Advent wreath from our grapevine wreath that we decorate seasonally, and some things we had around indoors and out. It sits on our kitchen table. The candles are lit at mealtimes. Each of the four Sundays leading up to Christmas we add more decoration to the wreath as we announce another part of the earth that is awaiting the birth of the Christ. Plants that reach up to the sun and in the breeze dance. All await the birth, from the greatest to the least. The light of hope that we may learn to love and understand. -I’ve seen this verse posted several places online without a source given. I wanted to make an Advent calender, but I haven’t found the time. Instead, we are using Christmas stickers on our everyday calender to mark off the days until the holiday, which we’ve marked with a manger scene. I’m really enjoying this focus on the birth of Jesus that Advent brings. So many times, we can get lost in the buying of gifts and attending parties that we can lose the sense of introspection that this season allows no matter our religious beliefs. It is a time where we seek the warmth of what is inside of us, and I fear in so many ways we as an American people are having a trying time finding enough warmth to sustain ourselves – not because it isn’t there, but because we lose ourselves in what we think things should be like, rather than what they are. I’m guilty of this myself, so maybe I am just projecting here. I want my girls to have traditions they can remember fondly no matter the economic climate or what is going on in pop culture. To add to the spirit of Advent, our Circle Time story has been the birth of Jesus. 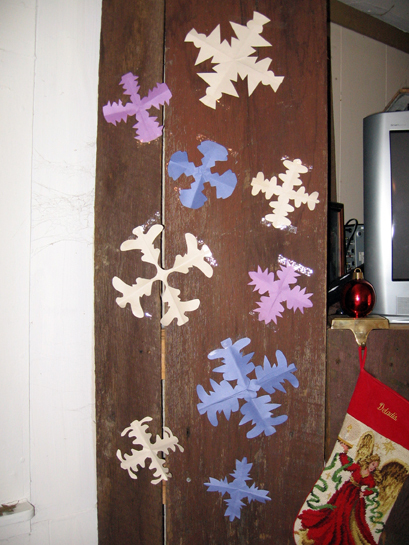 We’ve also made ornaments and snowflakes from the Festivals, Family, and Food book. 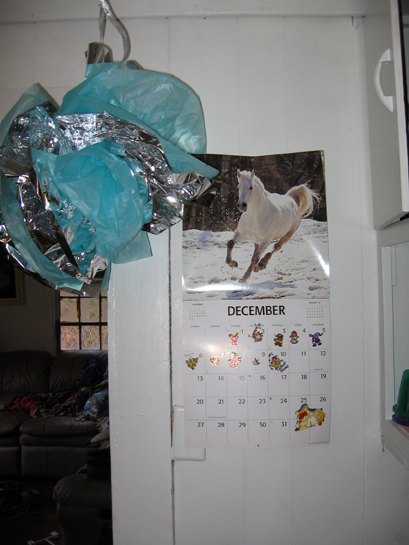 The big tissue ball in the picture of the calender is one. 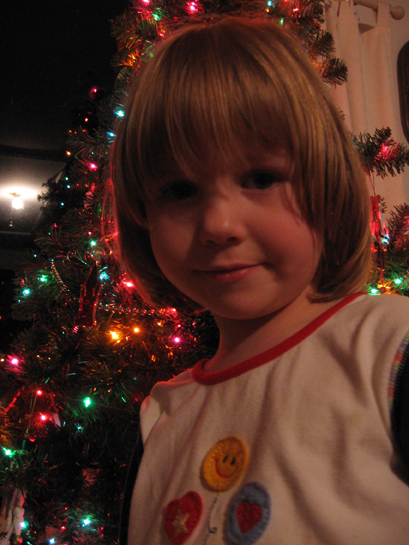 This is the smaller version for the tree. This week has been very difficult for me emotionally and physically, though I’m seeing the light. I took Ivy to the doctor today and she has a sinus infection. She has had congestion since before Thanksgiving, so I took the prescription for antibiotics though most doctors in this area don’t do a finger prick to confirm bacteria. It hurts my heart to give her the antibiotic, but I think it is in order. I took her for a chiropractic adjustment as well. She is going to be better soon. She’s playing with Deladis right now. A week of ups and downs this has been. I think I’m going to have some exciting news to share here soon. I hope so, in one form or another. 🙂 We have had our family portrait made (even with a sick Ivy), and our house is decorated for Christmas. The girls can’t wait. With all of the girls’ excitement, this holiday is historically hard for both John and I. We strive to make it as simple as possible at home, and there is always that feeling of guilt that we can’t buy things for people like they may buy for us. But, this holiday isn’t about buying things. It’s about unconditional love from one to another. 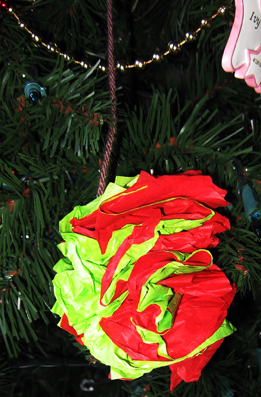 I made some of the ornaments for the tree with Deladis this week. She had fun, but it was stressful for me as Ivy wasn’t happy. They turned out lovely though, and she is proud of them. When I can, I will get pictures. I’ve been thinking about gifts for the whole week in one form or another. This week I received two blog awards, which I will share when I have more time for a post. I received a Joel Goldsmith book from another blogger, whom I have never met in person, which was purchased for me. It blessed my heart. I have thought of gifts passed. Today, I was brought back to my time in the city right before we moved home. Childbirth has been on my mind a lot this week. In April2008, my homebirth attempt at a vaginal birth after a cesarean section turned into a hospital transfer with a repeat surgery. 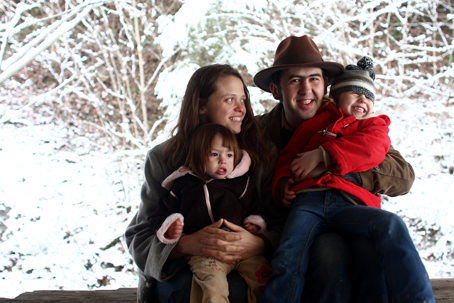 As filled with joy as I was at having a healthy new baby, the surgery broke my heart. Being without many, in real life, mama friends close by has been growing hard for me. Remembering what happened after that surgery makes me long for that even more. A group of women that I had become acquainted with online through our similar parenting beliefs, came together and brought me food for two weeks straight while I healed. It was food made from the heart – homecooked. Cookies, soups, meatballs, chicken, yummy stuff. It was left on my doorstep, delivered in person with a second to chat, and placed in my hands with a hug. That food nourished my in body and soul. It fed my family when I could not. I was left feeling cared for. Now, that was an amazing gift. Christmas gifts should be like this. Our winter interactive nature table.